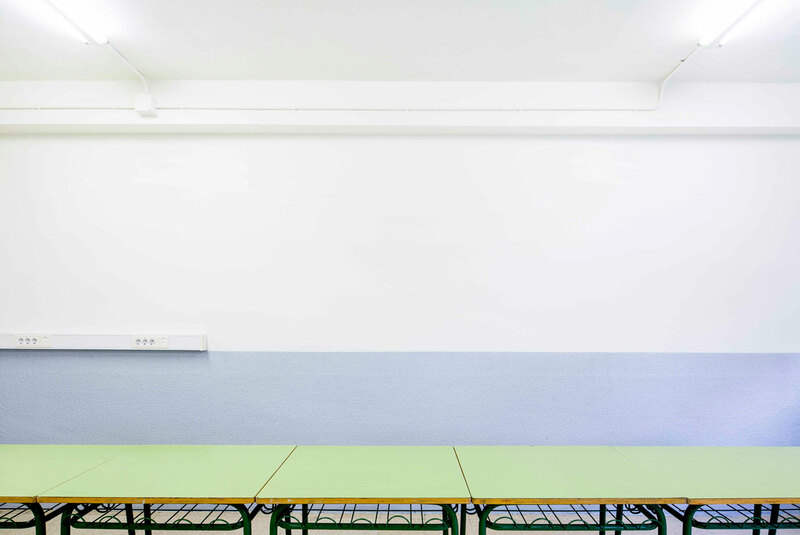 Children, just like adults, deserve spaces without aggressive chromatic stridencies or stereotypes of false playful appearance. 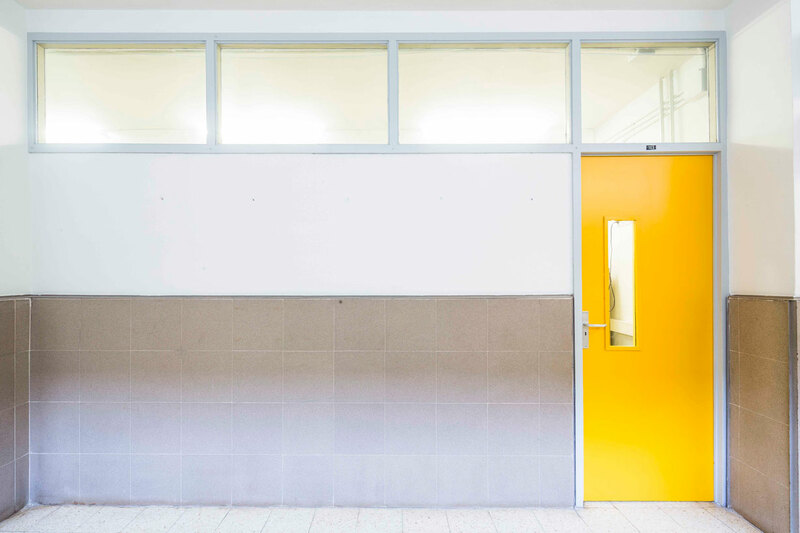 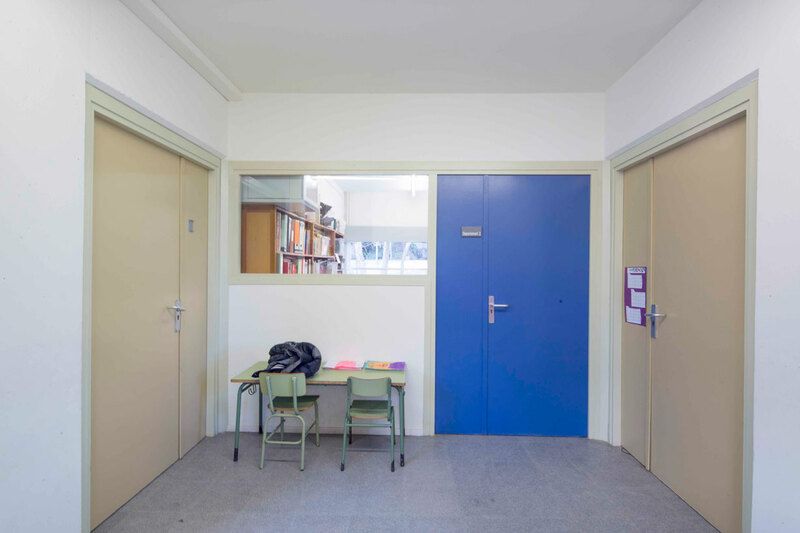 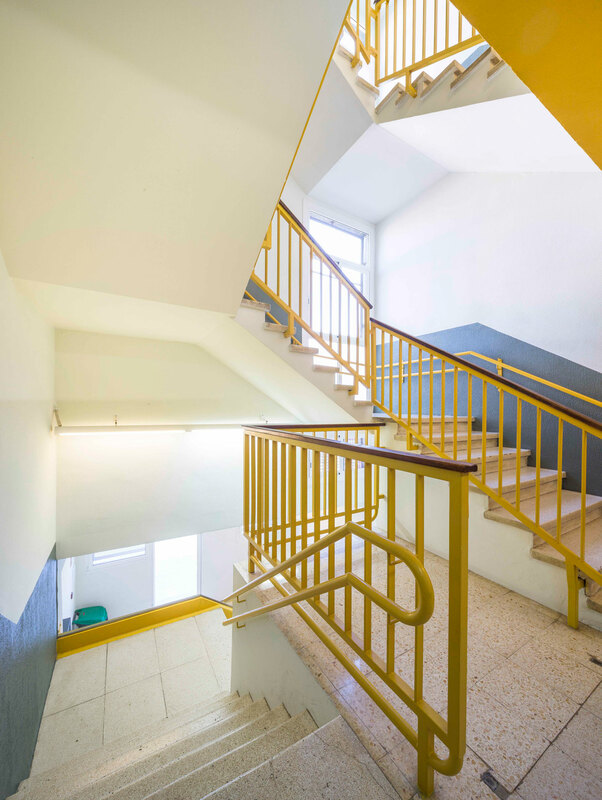 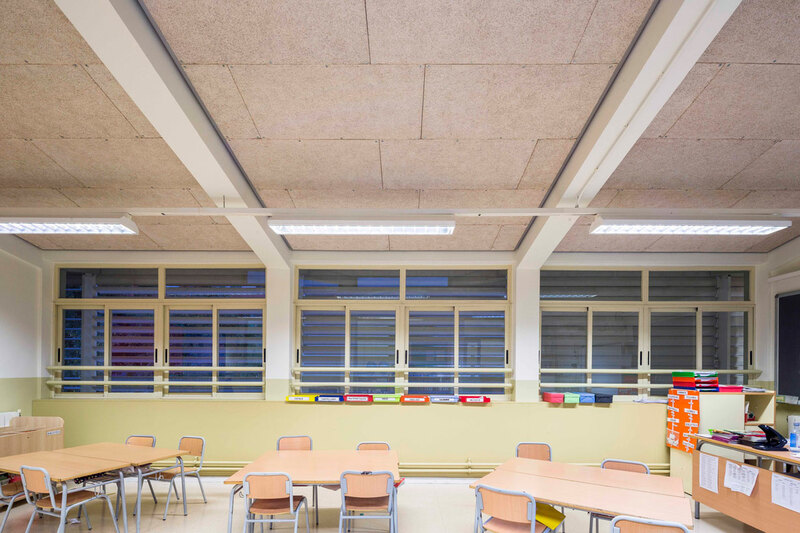 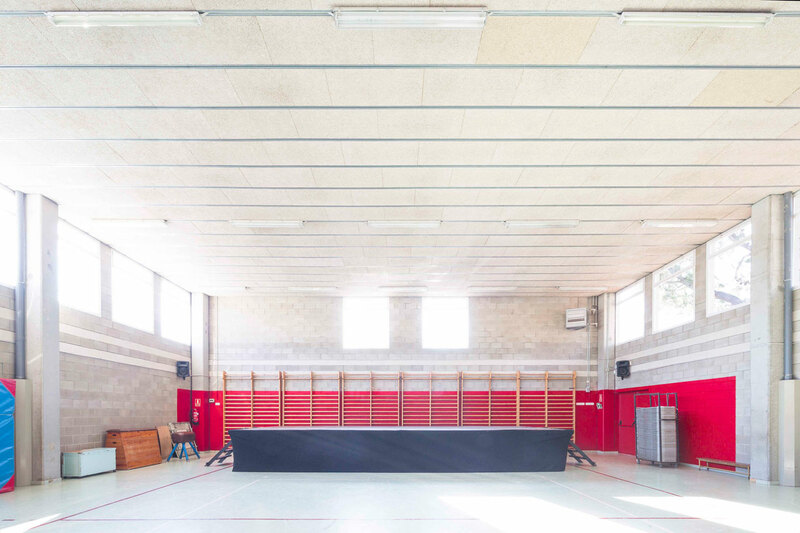 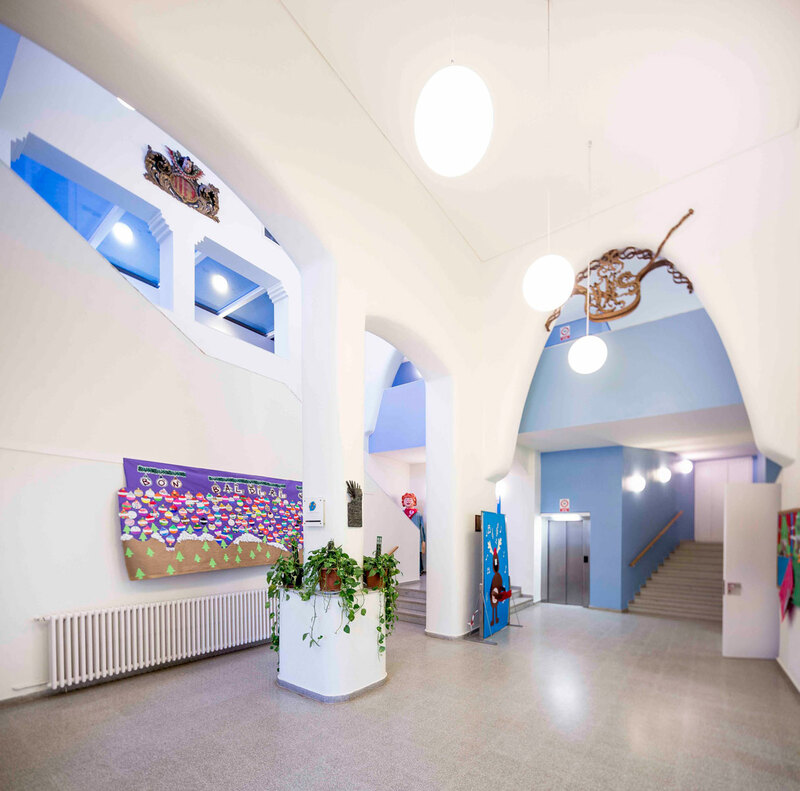 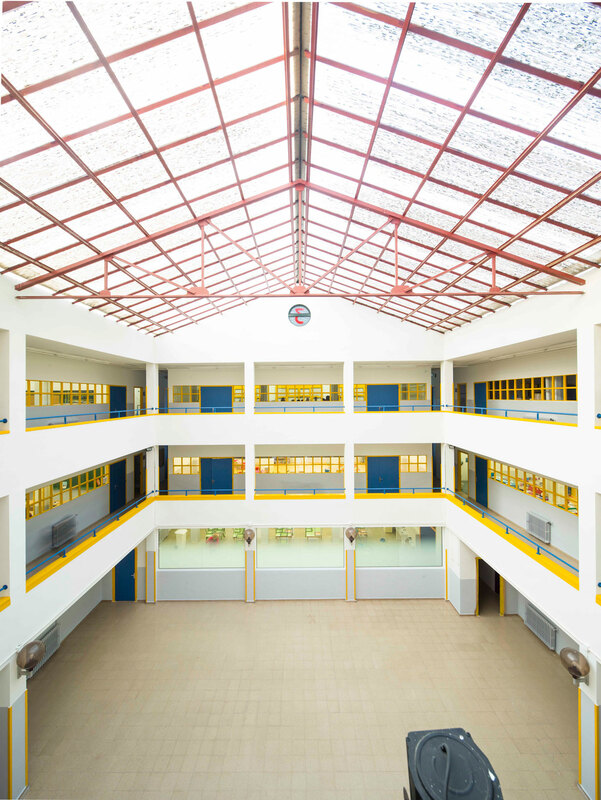 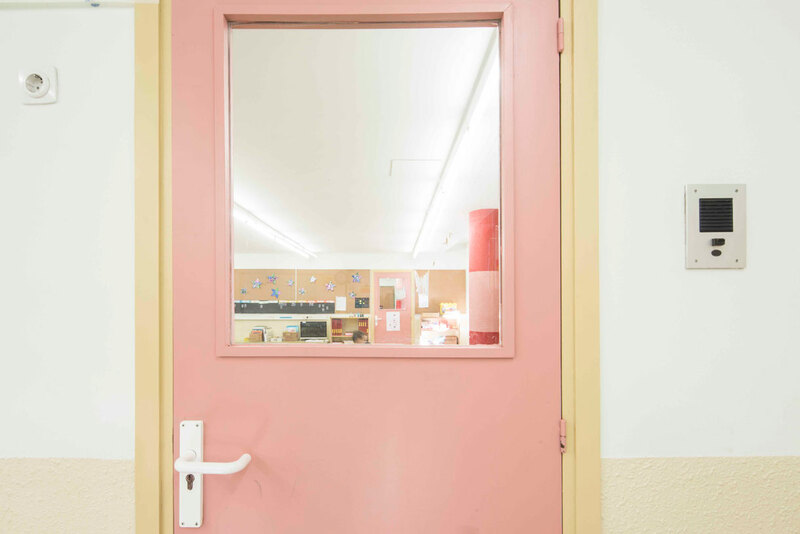 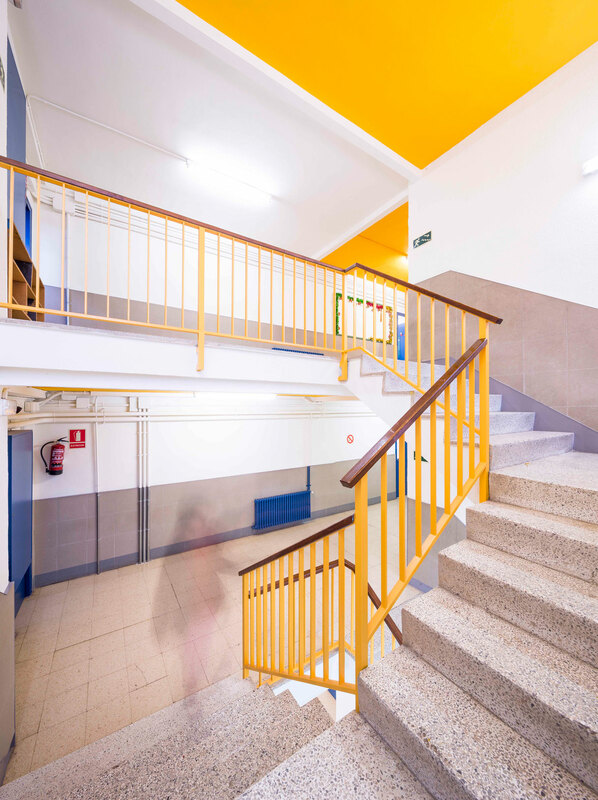 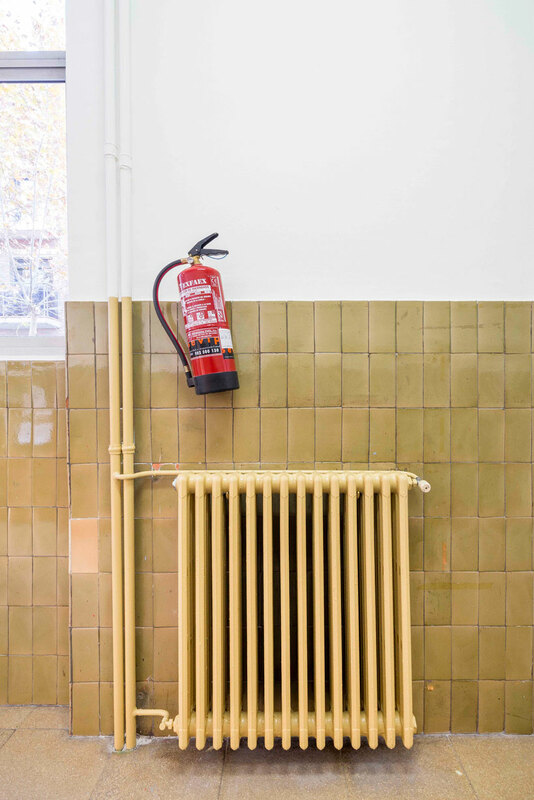 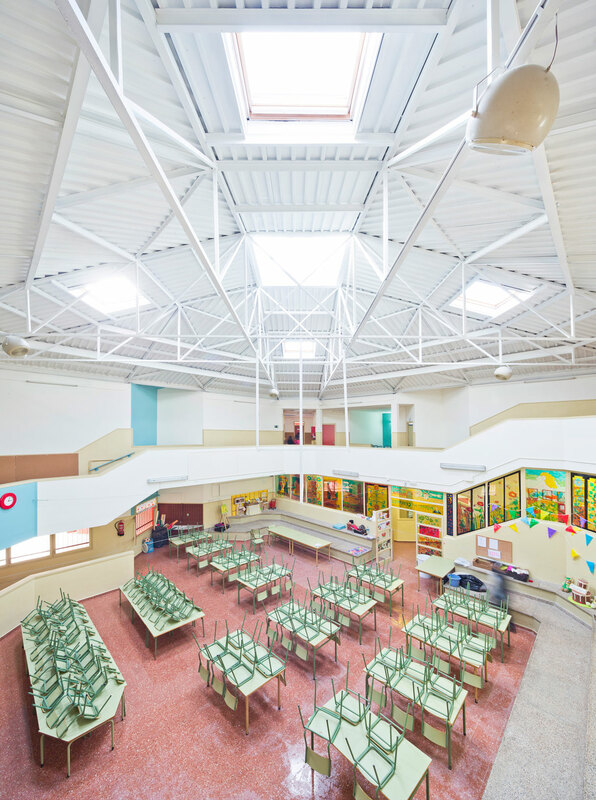 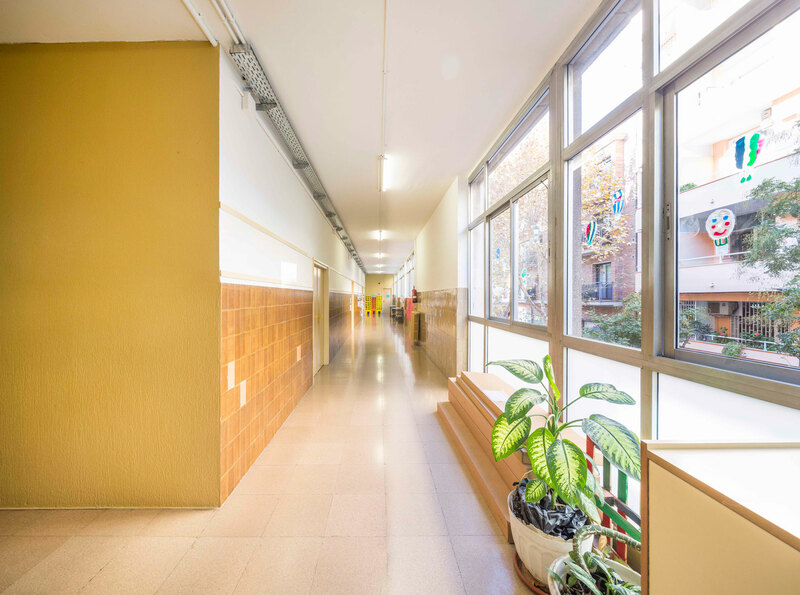 We consider every school building as a whole scope of action; consistent and homogeneous. 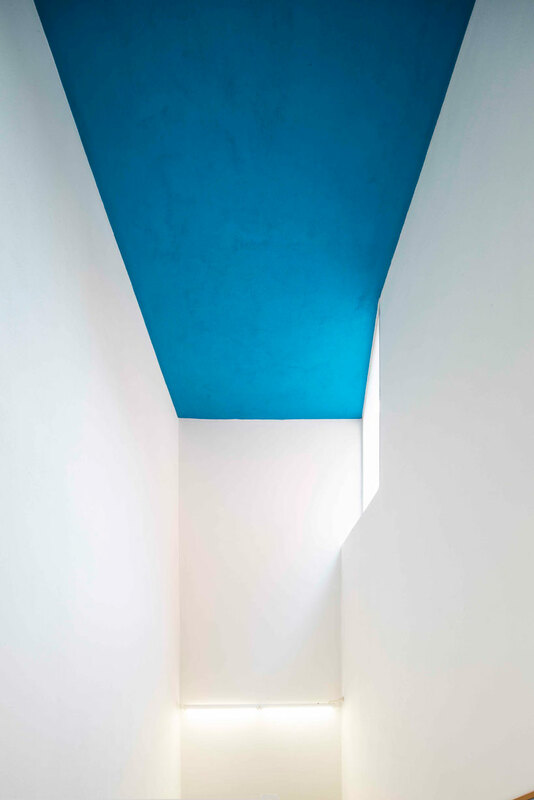 The goal of the intervention is to maximize, by the means of color, the feeling of spaciousness, serenity and luminosity. 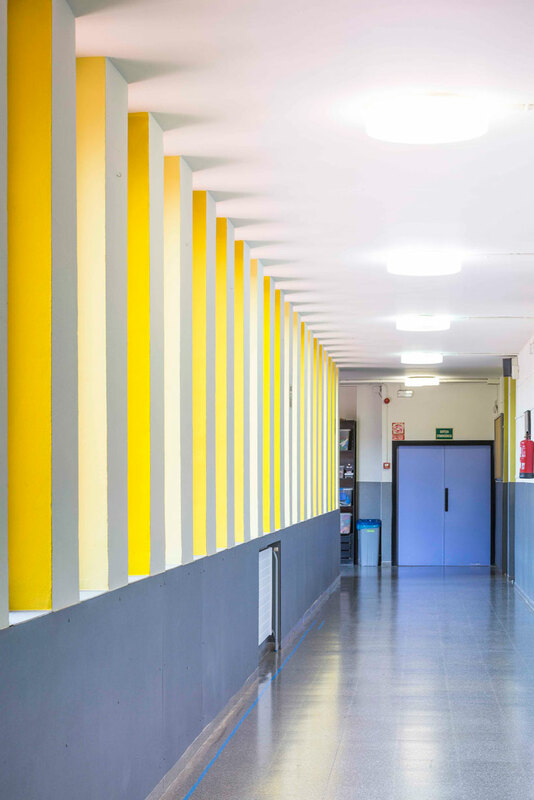 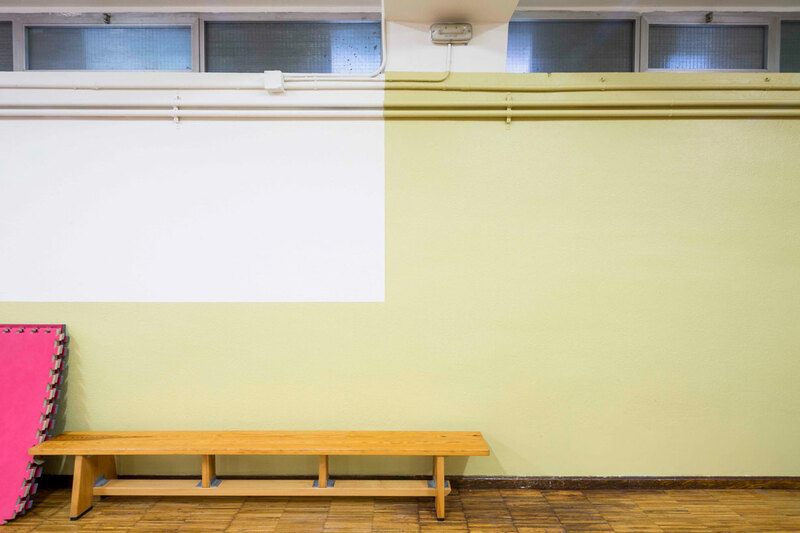 Strong or vivid colors can be used for details, highlighting them while revitalizing buildings that need to improve their spatial quality. 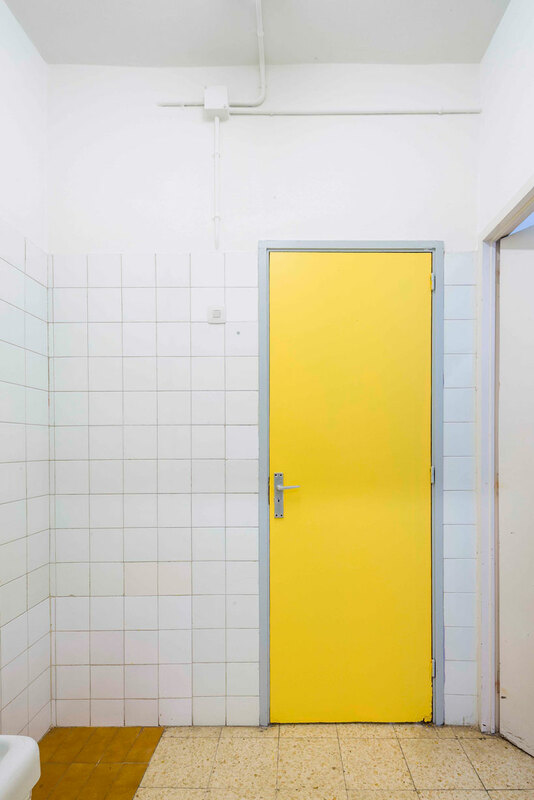 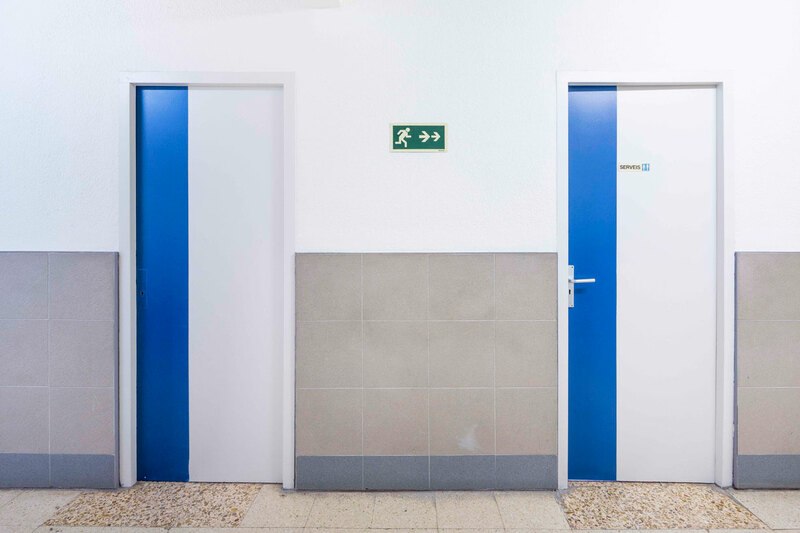 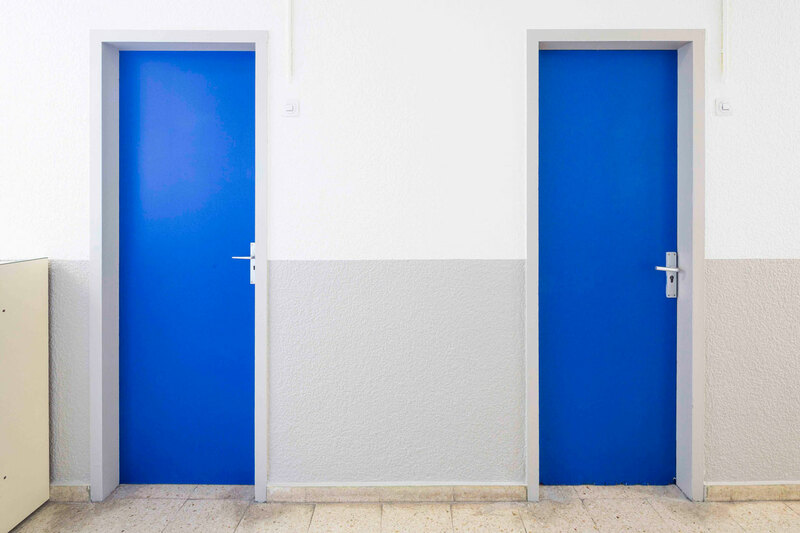 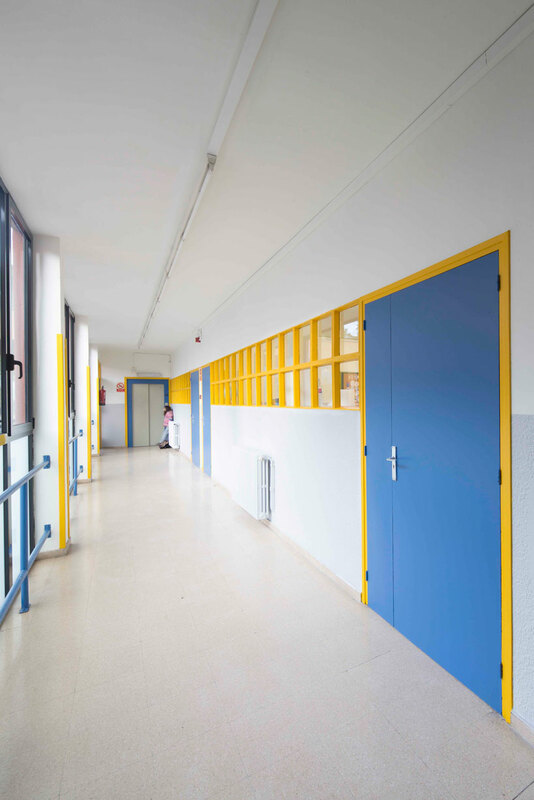 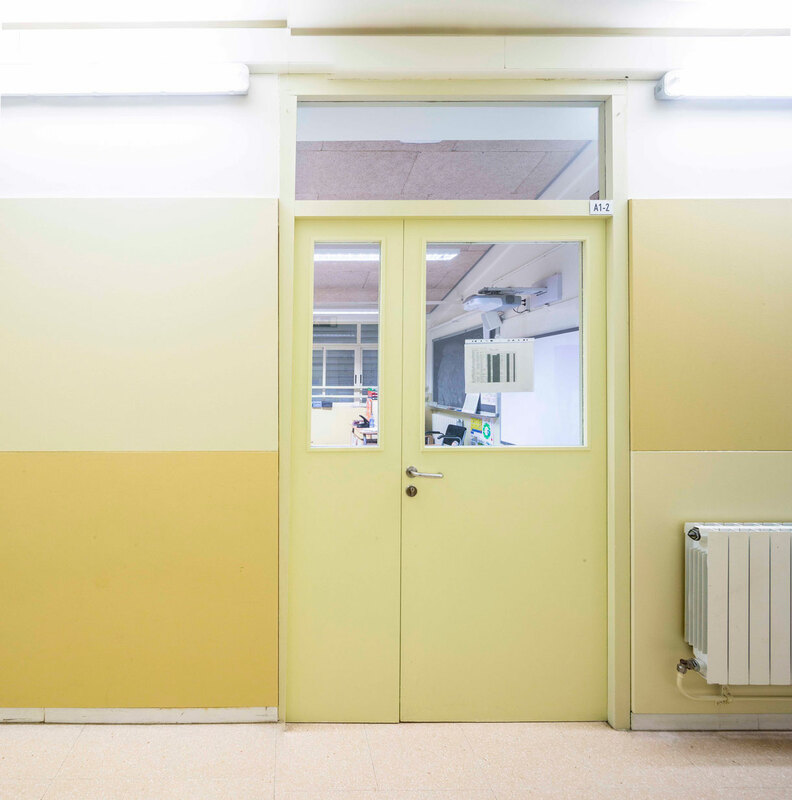 The most suitable colour range for each case, as well as its application criteria, are established considering the invariable pre-existences of each building and the ones that can be modified. 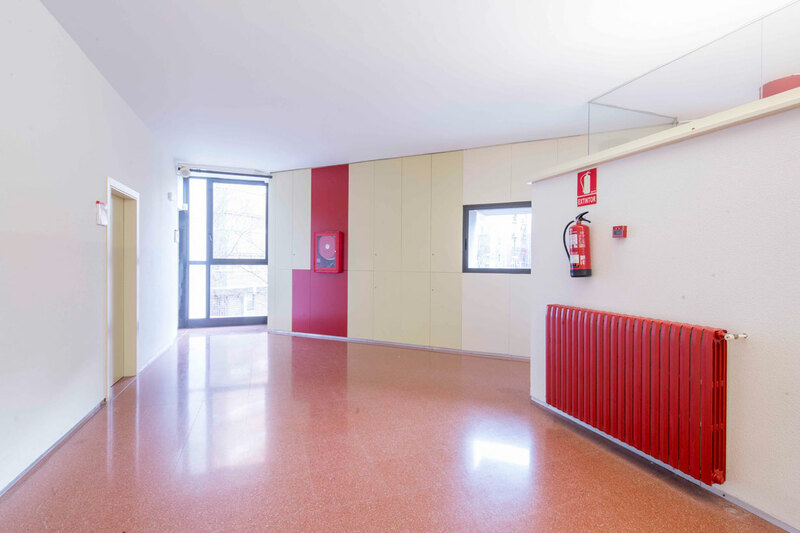 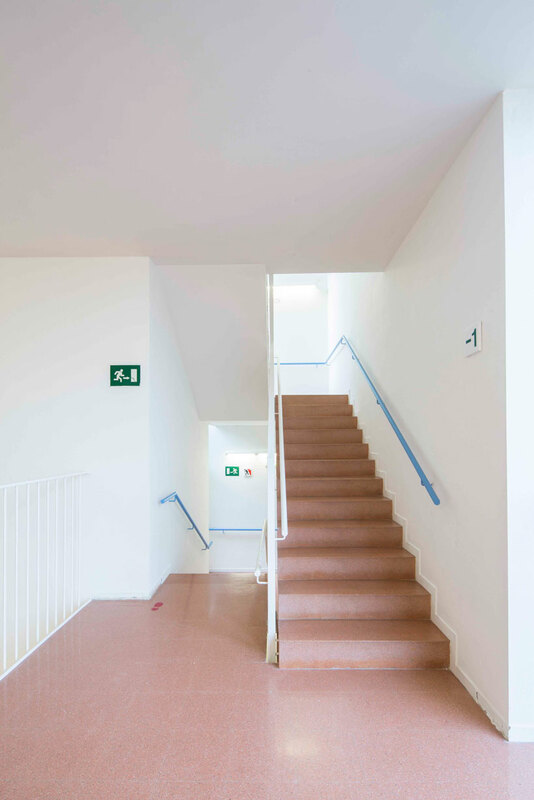 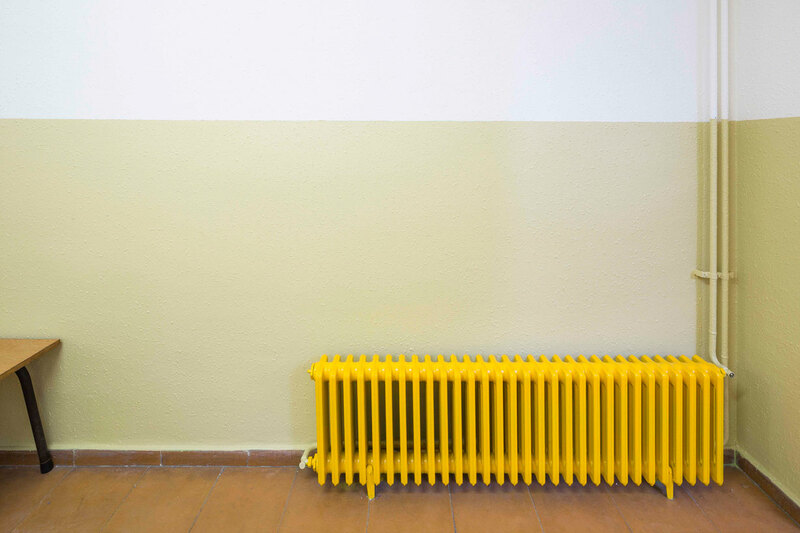 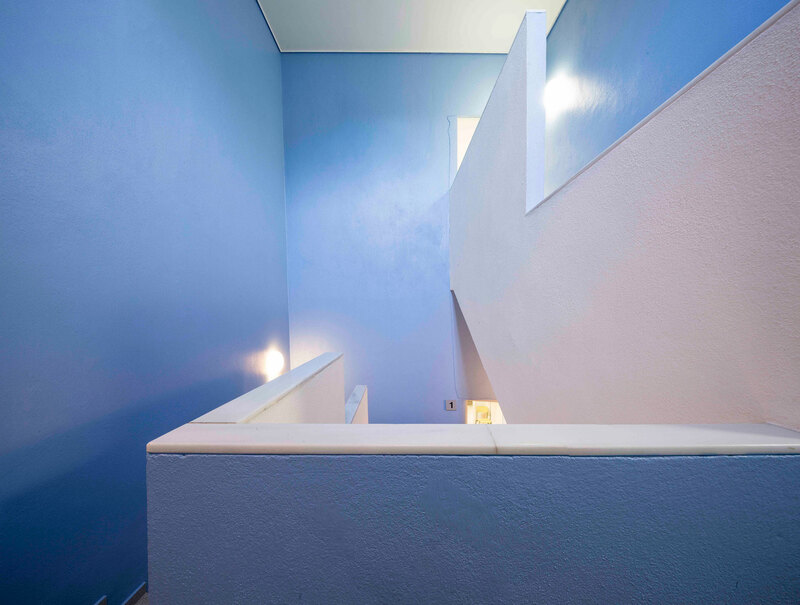 The colours of flooring, aluminium carpentry, ceramic or stone coverings, among other elements, configure the spectrum of invariable ones and are, therefore, introduced as the colour basis of all individual projects. 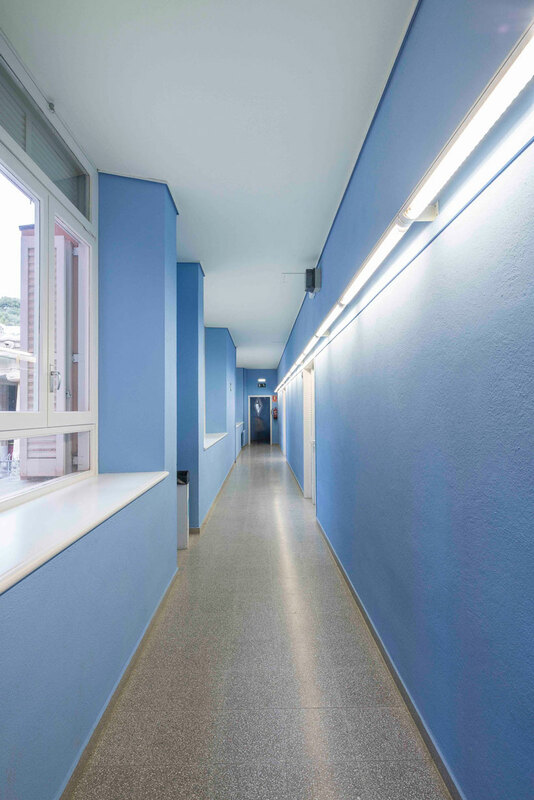 The new colour range is built on this basis, respecting the previous chromatic performances that have a global and harmonious character and promoting visual pacification through the use of light and luminous colours, always avoiding chromatic visual contamination. 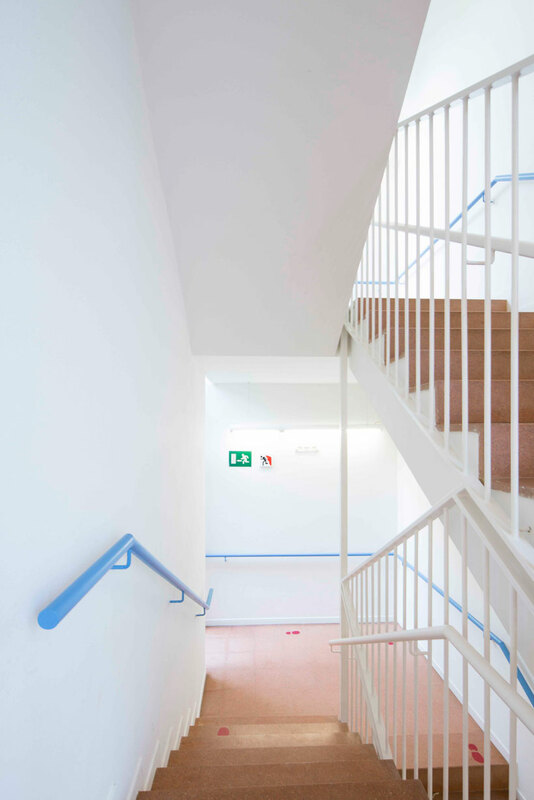 We have, in consequence, looked for warm, domestic and quiet ranges that provide a sense of comfort and well-being. 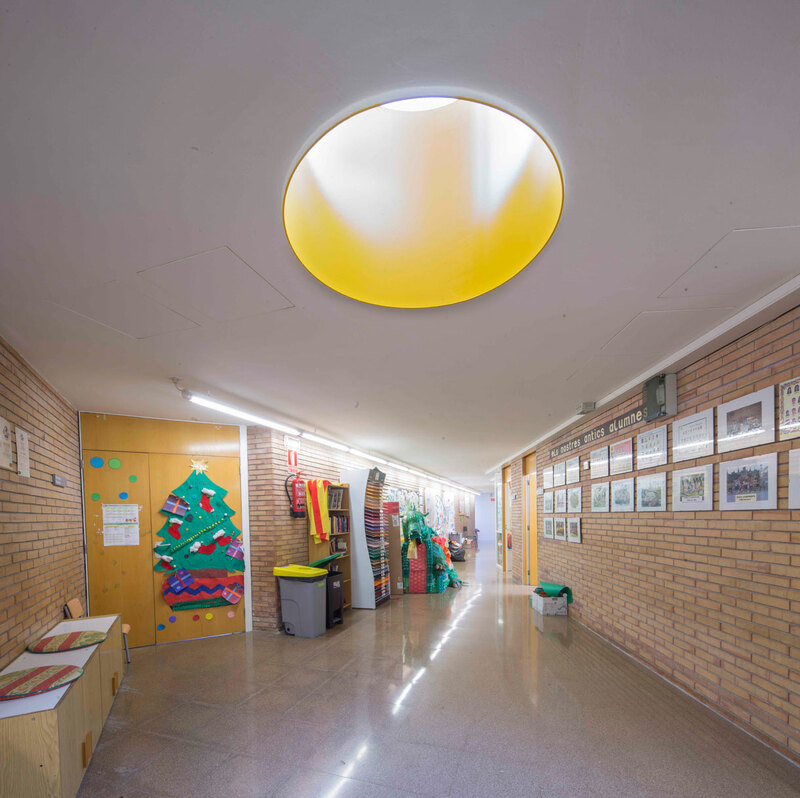 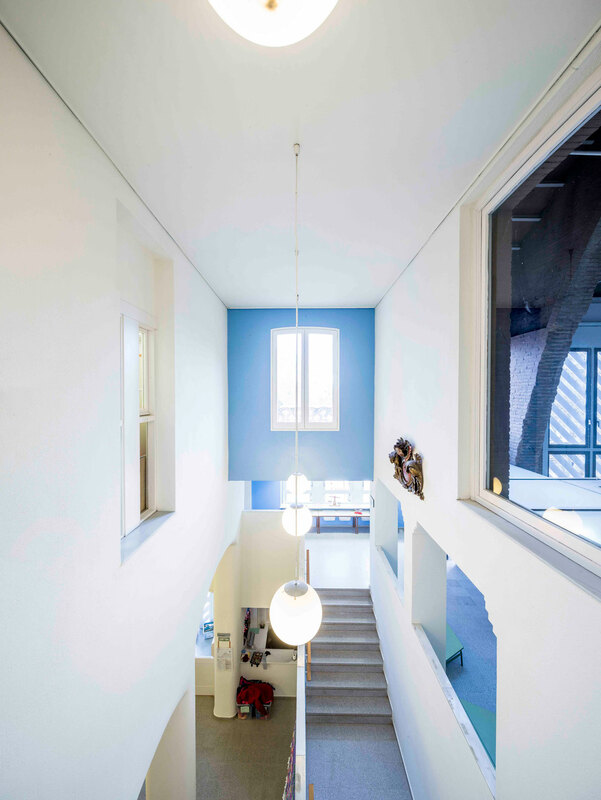 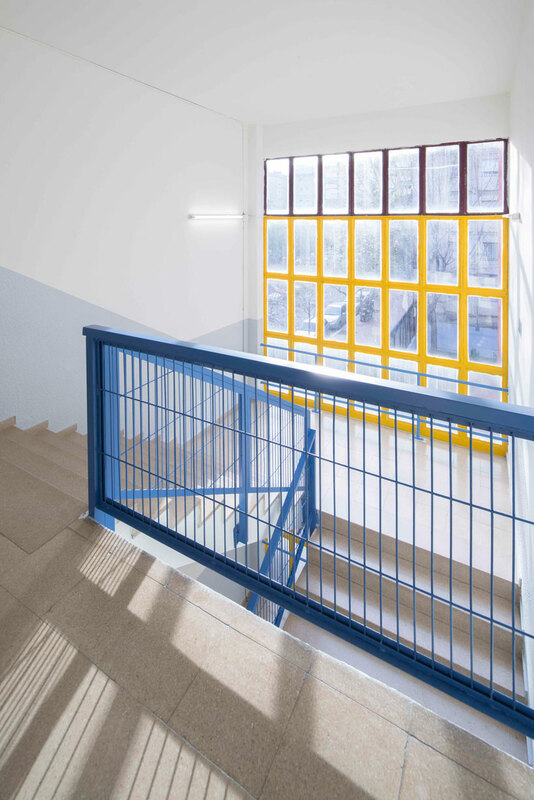 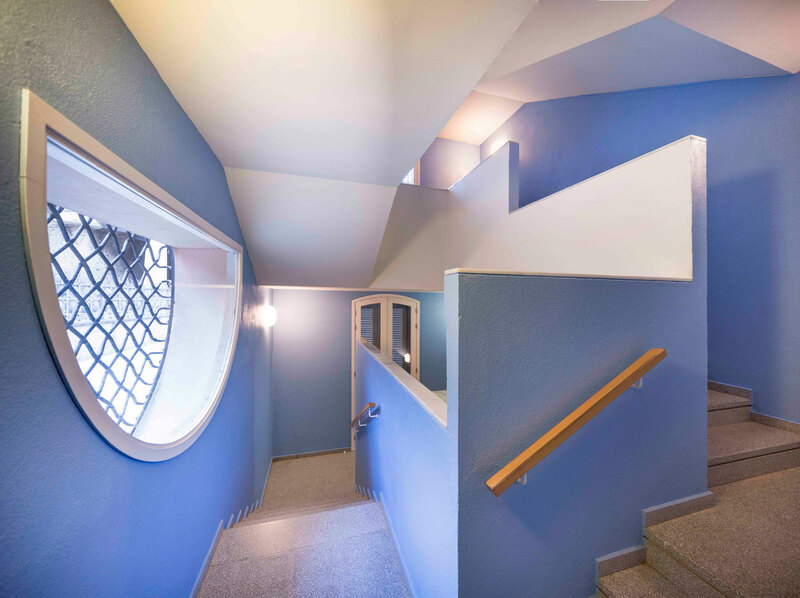 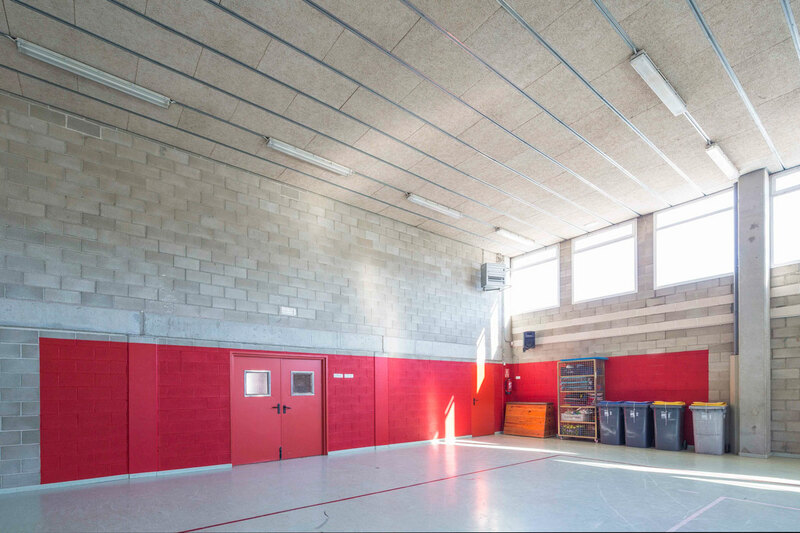 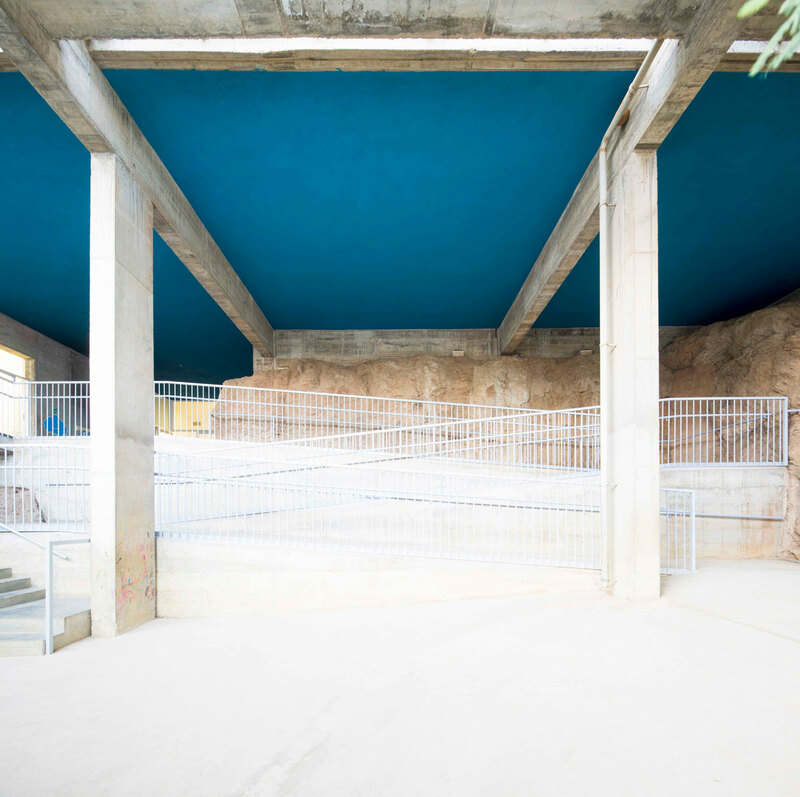 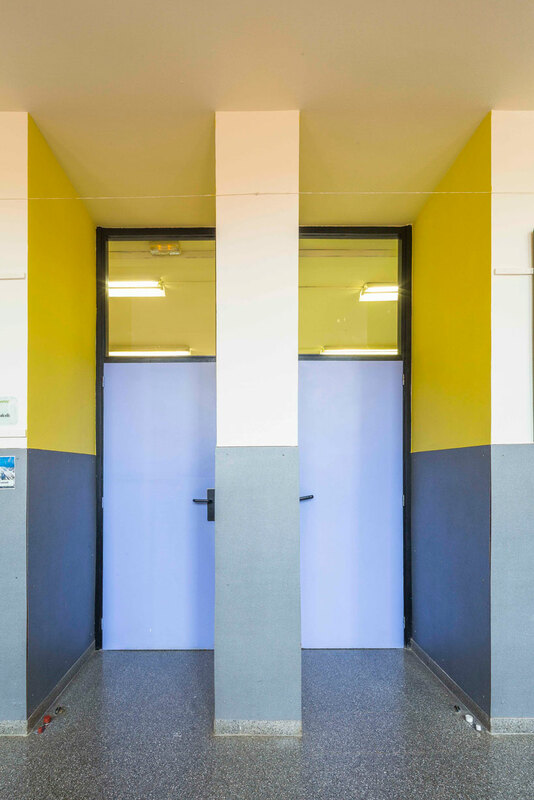 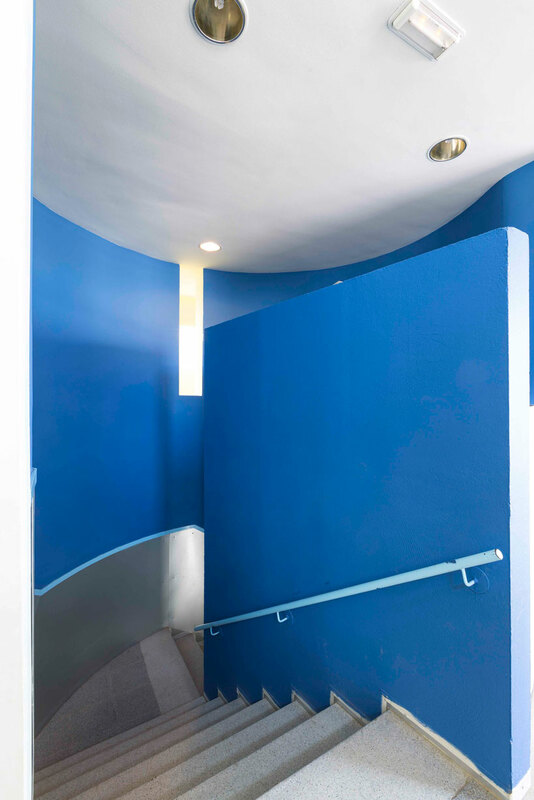 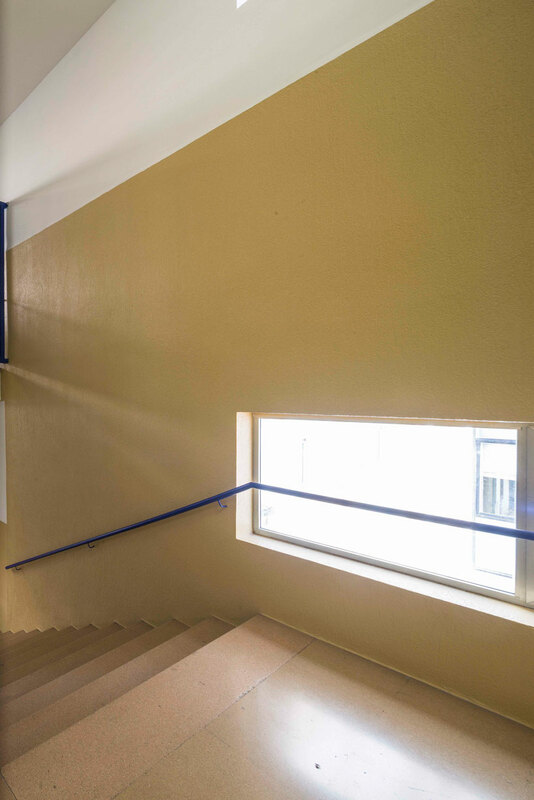 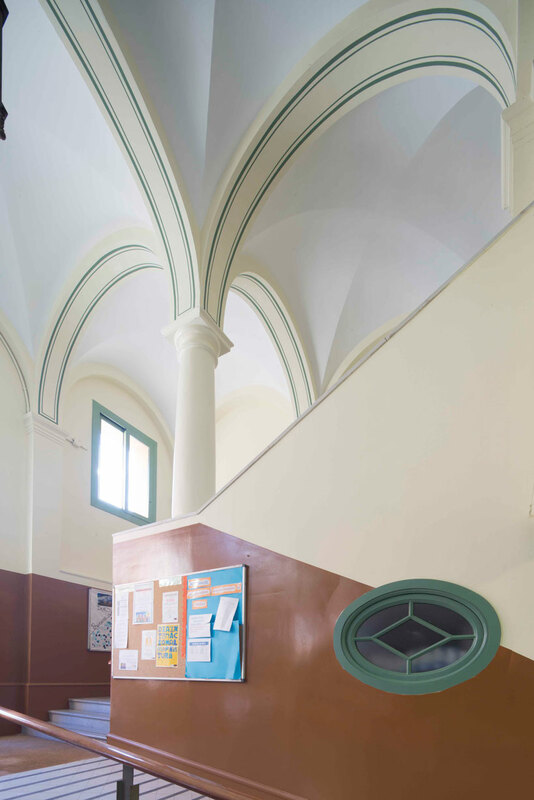 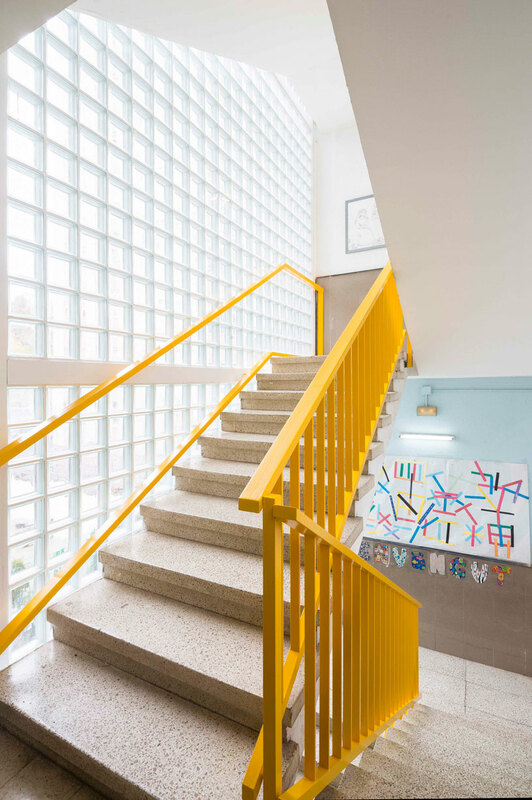 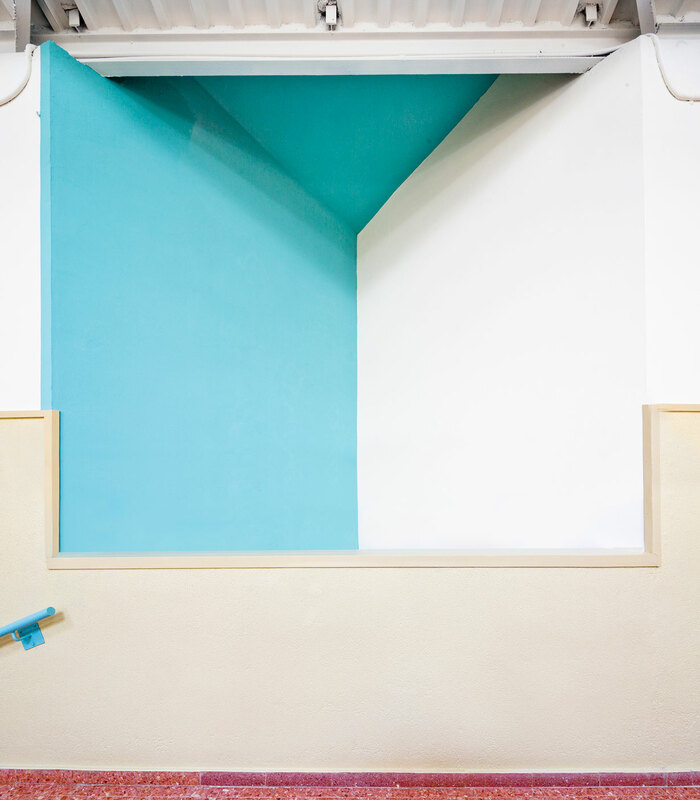 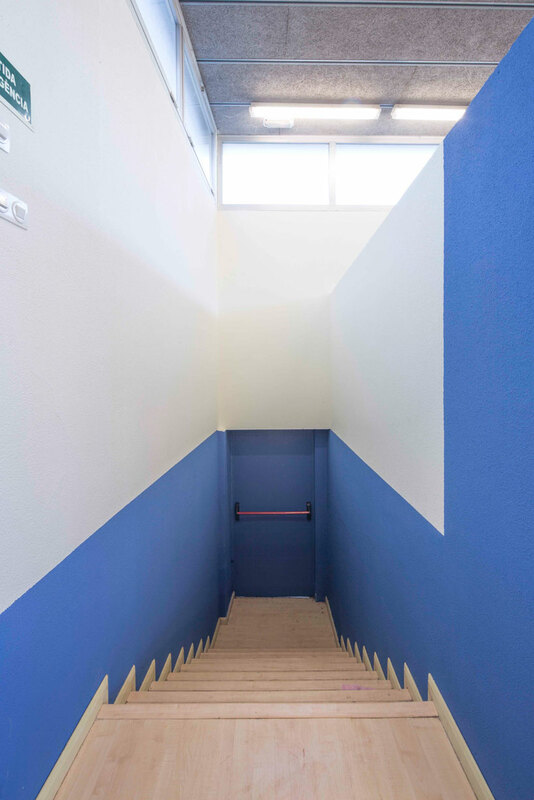 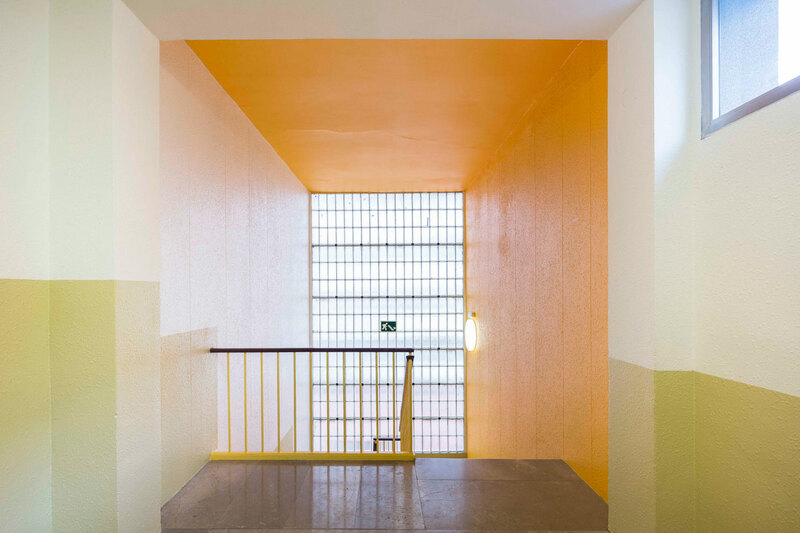 The accents of colour and form have been retained for the scale of the detail and for the schools whose buildings have poor spatial quality. 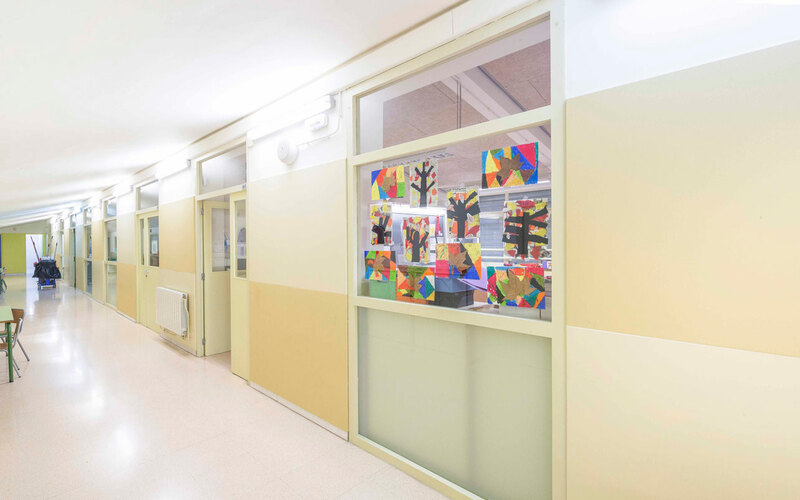 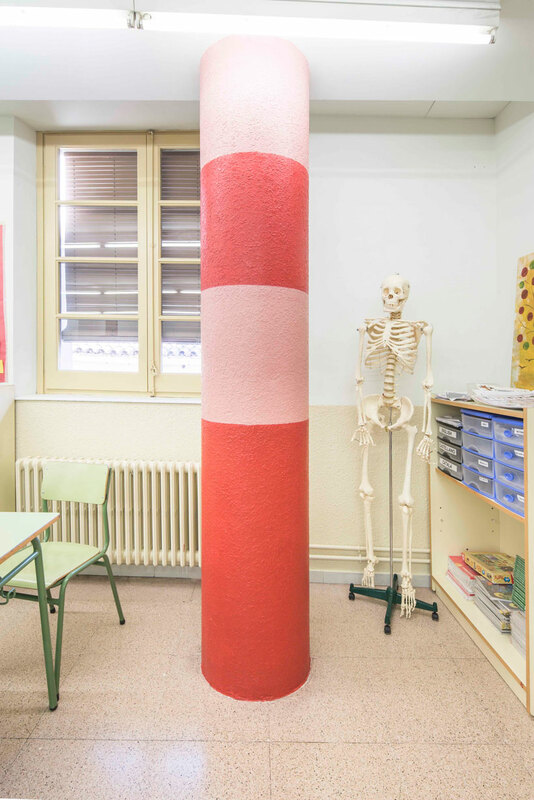 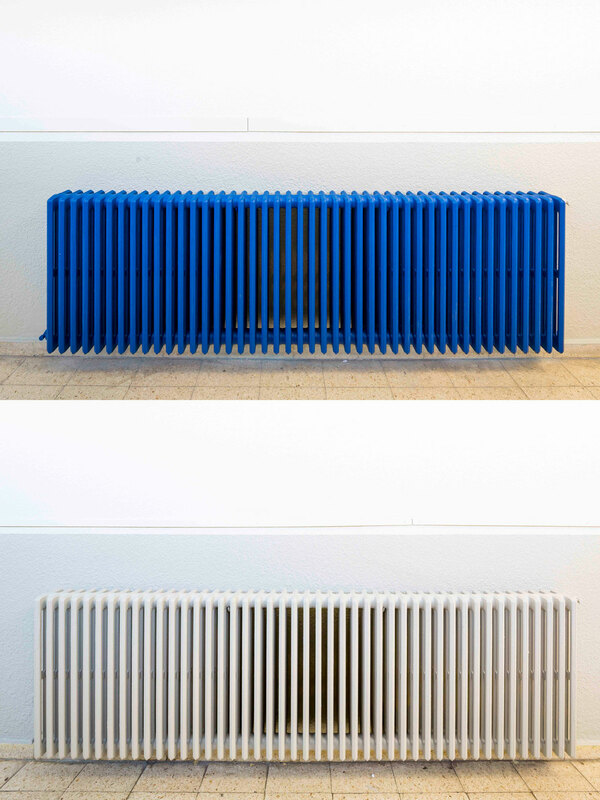 The use of colour in details introduces spatial vibration and fosters children's imagination. 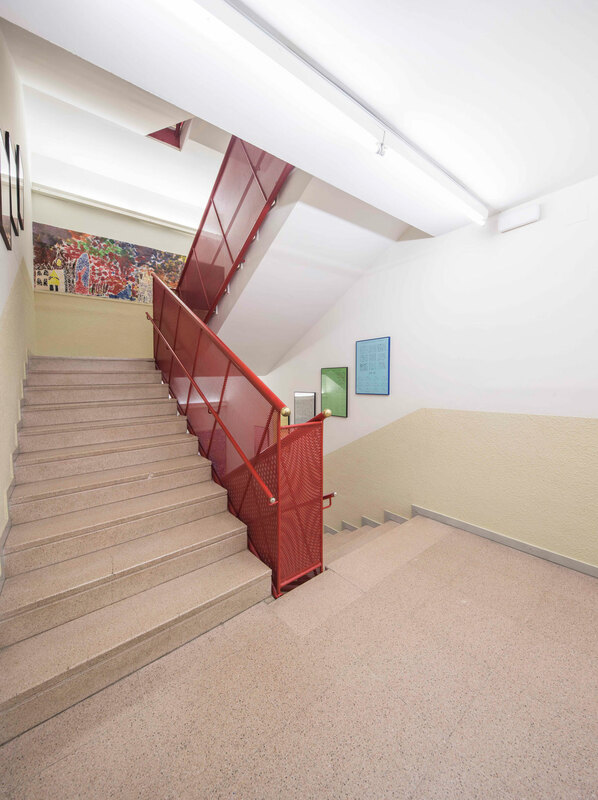 The measured application of variations in the colour base encourages joy and creativity as well as the will to learn.